Contact Your Local Chiropractor Today! Life is not static. It moves on whether you want it to or not. Every decision you make with regard to your health will place you either closer to your health and wellness goals, or further away. Which direction do you want to go? Our wellness center here to help you live the life you want, one that is active and healthy. Here at Beyond Bones Chiropractic and Wellness, we serve the needs of all people from infants to the elderly. Chiropractic care is an important aspect to your overall health, whether you are suffering from a minor affliction like occasional neck pain, or dealing with a life-long condition such as chronic back pain. As a holistic health-care approach, chiropractic care focuses on a whole-body approach to health. Problems like stress can affect multiple body systems, and other difficulties can affect more than one portion of your body. We do not focus on the site of the pain, but on your entire body. It’s never too late to start the journey to health and wellness. 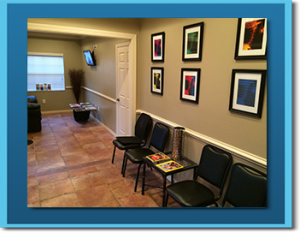 You will never have a more professional yet friendly experience than you will here at Beyond Bones Chiropractic and Wellness Trinity. We accept most insurance plans, so start your chiropractic care today and start to feel better tomorrow! Please call us if you have questions at (727) 376-2024. We’d love to see how we can help!